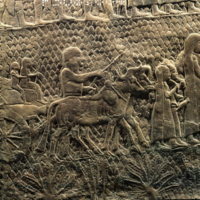 These panels are part of a series of wall reliefs excavated from the Assyrian king Sennacherib’s (ruled 705–681 BCE) palace at Nineveh. 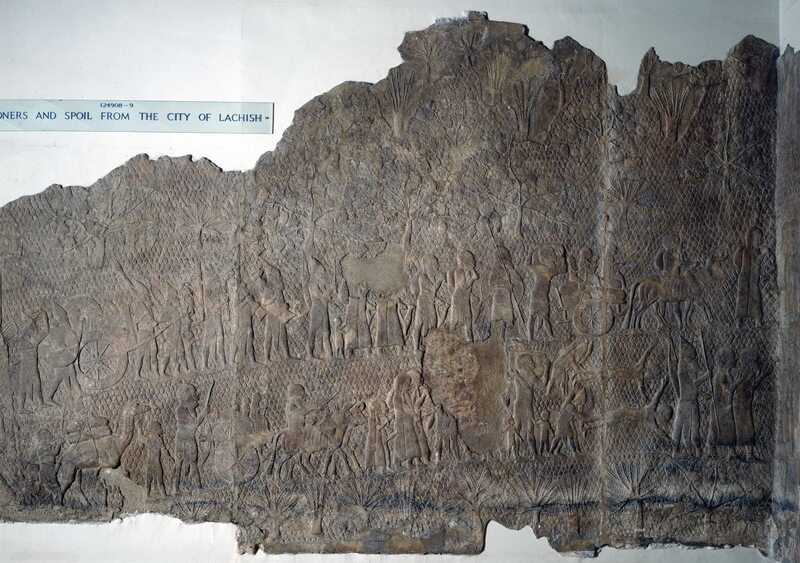 The panels records the Assyrian siege and eventual capture of the city of Lachish. Lachish was one of the most important cities in Judah, perhaps second only to Jerusalem, and it played an important role in the administration and military strength of the kingdom. 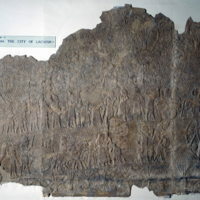 Sennacherib’s army's siege of Lachish is reported in 2 Kings 18–19 (cf. Isaiah 36–37). 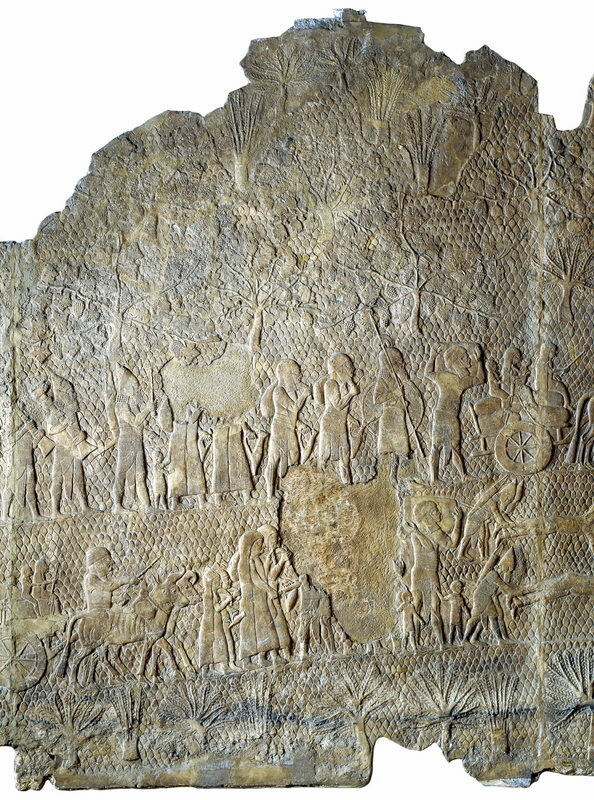 These panels depict the aftermath of the siege, with particular interest in the population of the city which is being deported to Assyria. 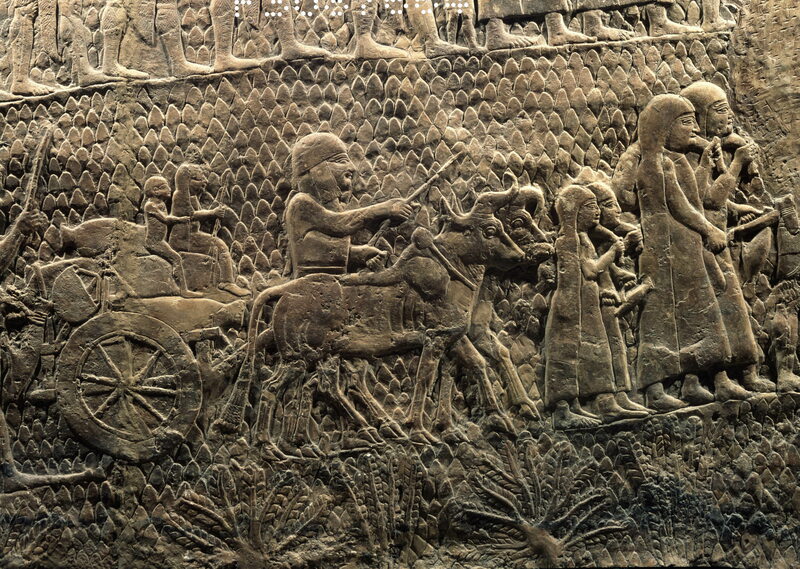 Deportation of a defeated city's or country's leadership was a very common part of Assyrian—and to a lesser degree Babylonian—military policy, and was designed to reduce the chance of future rebellions. 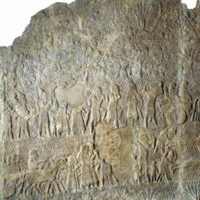 Elsewhere in the series Sennacherib's soldiers are shown plundering the city's cultic items.